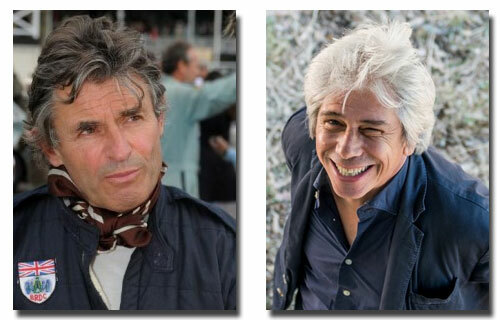 Our narrators and presenters – Alain de Cadenet – racing driver and TV channel host and Francesco da Mosto – Star of six successful BBC TV series about Italy. For more videos, see our video gallery. IGNAZIO FLORIO (1868 – 1957) – The elder brother and guardian of Vincenzo. Their father had died and, until Vincenzo was 21 years old, his brother exercised discipline and control over young Vincenzo’s wildest ambitions. 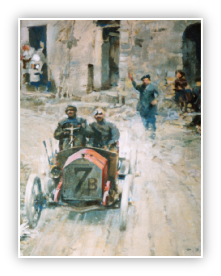 Fortunately he stopped him joining the tragic 1903 Paris – Madrid race that, for the tremendous number of casualties put an end to the era of the “Ville to Ville” races and set the scene for new scenarios in motor racing…. Our story relates how Vincenzo, with Nazzaro’s help, managed to enter a race at Brescia, defied his brother’s command and began an unbelievable saga for a twenty year old sportsman. DONNA FRANCA JACONA (1873 – 1950) – the beautiful wife of Ignazio and Belle of Palermo. 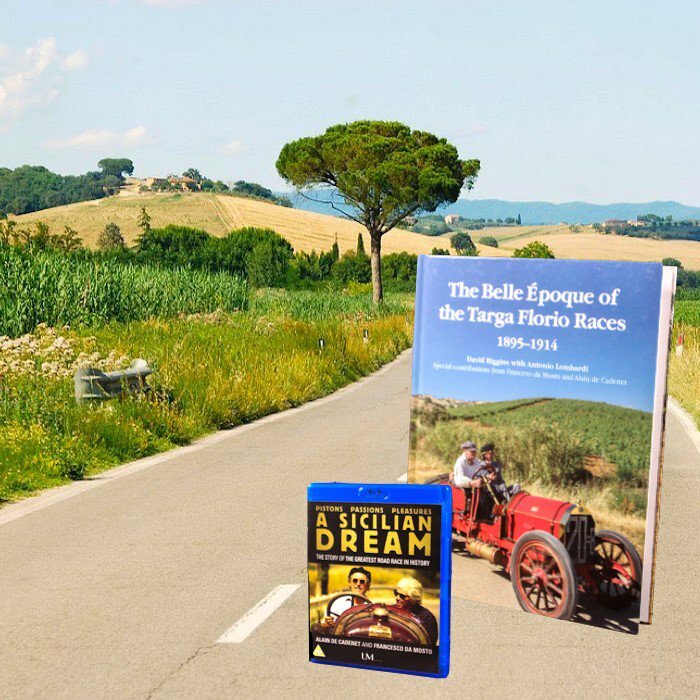 VINCENZO FLORIO (18 March 1883 – 6 January 1959) – whose passion for motoring led to the creation of the “Targa Florio” races. His family were rich, he had a money no object approach to life and imported every new model of car he could find at the turn of the Century. He died impoverished but the race series continued and is now a Rally.His name lives on for ever. FELICE NAZZARO (4 December 1881 – 21 March 1940) – born the son of a coal merchant, racing driver for Fiat, skilled mechanic , car manufacturer – my inspiration for the film. He met Vincenzo Florio when he delivered a Fiat car to the island. He was invited to stay as Florio’s mechanic and friend and spent four years there before returning to FIAT. He became the most successful racing driver of the period and won his last Grand Prix in 1922. He stayed with Fiat as their Race Manager until his death in 1940. Buy the book & DVD available together for a limited time for only £47. For full information on how to order - please click here. A Sicilian Dream. The official web-site for the Movie.